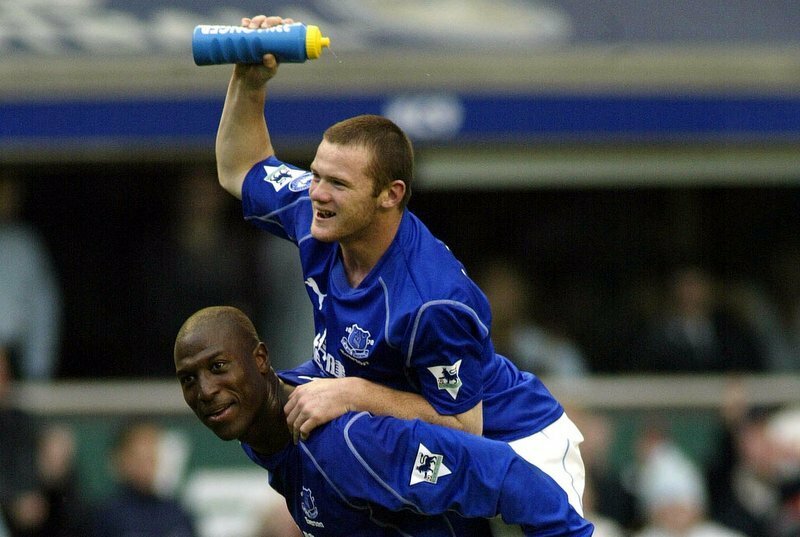 Match Winner Wayne Rooney and Kevin Campbell celebrate at the final whistle. On October 19, 2002, 16-year-old Rooney netted a stunning last-minute winner (2-1) against Arsenal to end the Gunners’ 30-match unbeaten run at Goodison Park. The first of hundreds of strikes in the Premier League for Rooney.